The House of Delegates passed a $40 billion state budget in an overwhelming 129-10 vote, but 10 Republicans still found reason to reject a budget that was 99% the proposal of a Republican governor. But many Republicans voted for their first state budget in years. “This budget is not perfect…but I think there was a spirit of cooperation and that’s a good start,” said Del. Pat McDonough, surprising delegates by voting yes. Hogan put an extra $150 million as promised in last year’s budget, but the committee cut that in half. “In 2011 we made a deal with our employees and our teachers and we shifted this mess onto our counties,” said Krebs. Appropriations Committee Chair Maggie McIntosh McIntosh praised the work of her committee. “Every teacher, from every school, in every school district will see increased funding for next year,” she said. House Minority Leader Nic Kipke, Anne Arundel, said that while he had some objections with the budget, it was a piece of legislation that “got everyone’s attention.” He believes that together, the delegates have “made it into something” that they can all support. “I think the taxpayers if Maryland are appreciative that we all are working together…It’s a really big first step in looking out for our taxpayers…to seek real tax relief for Maryland citizens,” said Kipke. 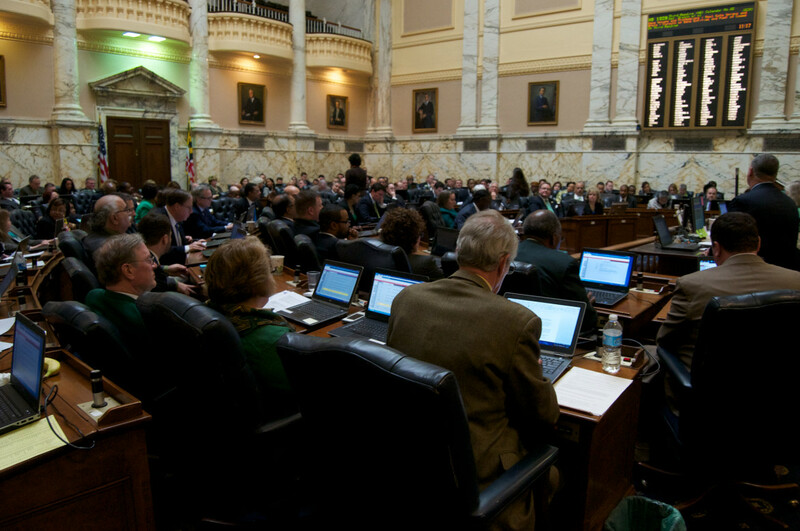 The 10 GOP delegates who voted against the budget were: Kathy Afzali, Frederick; Mark Fisher, Calvert; Rick Impallaria, Baltimore and Harford County; Warren Miller, Carroll and Howard; Neil Parrott, Washington; Steven Arentz, Queen Anne’s; Robin Grammer, Baltimore County; Krebs; Matthew Morgan, St. Mary’s; Deborah Rey, St. Mary’s.